I pooped where? There? Really? There was one toilet somewhere in the Mekong Delta in Vietnam that was essentially a shower with a hole in the floor. That was a painful moment, and I will spare the details involved. But there were some other treasures out there. There was a sand dune in the Sahara, when I refused to part with $2 to use the filthy facilities inside a gas station. There was a McDonalds toilet in Athens with no door. There was the Vatican museum – which lacked a toilet seat. Here are a few gems from a recent trip to Asia. except in places catering to western tourists. Where western toilets are available, the tend to have a bucket of water to dump down the toilet to flush it if modern plumbing isn’t quite what it is in the west. If toilet paper is available, it is absolutely not to be flushed down the toilet, as it will clog the delicate plumbing. 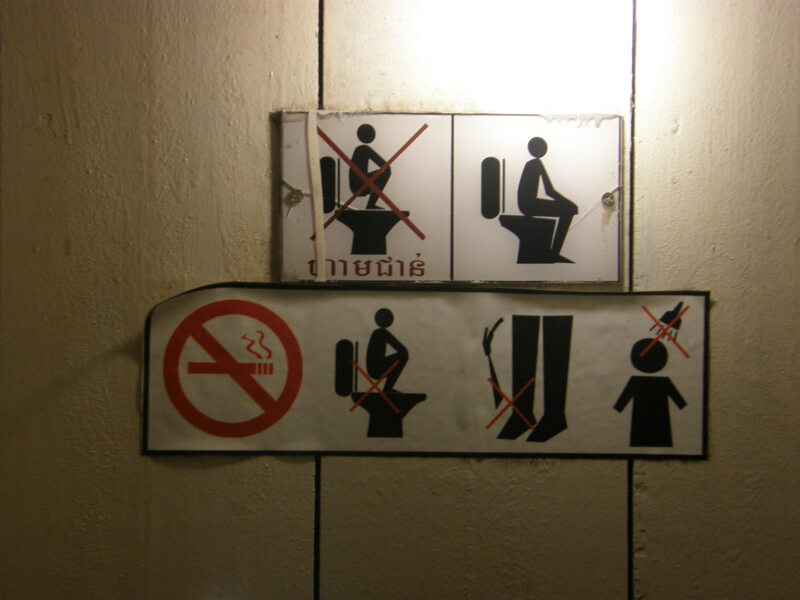 And most toilets also come equipped with the bum gun, which for the uninitiated can be rather confusing. 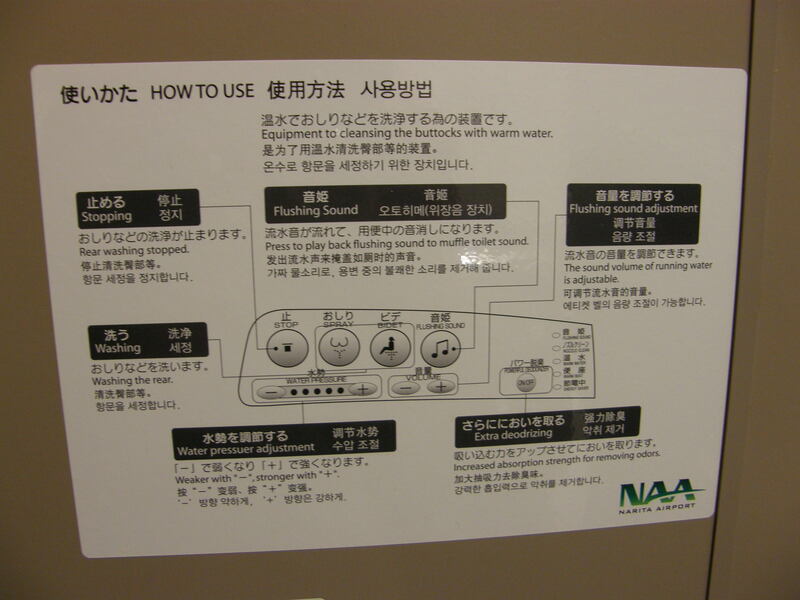 So after all of the truck stop toilets of Asia, one can imagine how happy I was to see those instructions in Tokyo. And the toilet was even better. But that’s enough about toilets for today. I’ve got more to say – I haven’t even touched on the two-button toilets so common in Europe and the Middle East, or the phenomenon of carrying your own T.P. with you. I promise, next time I won’t ramble on about pooping – or will I? This entry was posted in Anecdotes, Photography, South East Asia by hoboshutterbug. Bookmark the permalink. Tied your pants around your neck, eh? Inventive! This just adds to your rumor mill should I ever get fired, doesn’t it? Is it just me, or does the second button on the Japanese toilet seem to activate the Breast Spraydown Deploy Mechanism?